With less than two months to the country’s scheduled EU departure, it remains unclear whether the UK will leave with an amicable deal, crash out with no deal or whether the Brexit process will even be completed at all. However, Theresa May’s efforts proved fruitless and ended in confrontation with European Commission President Jean-Claude Juncker, after he described her Brexit demands as “nebulous and imprecise”. Having secured no further concessions from the EU, it seemed unlikely the Prime Minister would have enough parliamentary support for her deal. In the event a Commons vote on the EU Withdrawal Agreement eventually took place on 15 January. MPs voted overwhelmingly to reject the deal by 432 votes to 202 – a huge defeat for the Government (the biggest for a sitting government in Parliamentary history). However, after surviving a Vote of No Confidence in her Government (with all the 118 Conservative MPs who had voted against her deal voting to keep her in power), Prime Minister Theresa May is now trying to re-open talks with the EU to attempt to get some changes to the legal text of her Brexit deal, which she agreed with the 27 other member states. She hopes to replace the controversial Northern Ireland backstop clause with “alternative” arrangements, and has promised to return to the Commons by 13 February at the latest with fresh proposals, which will then be put to the vote. The UK is scheduled to leave the EU at 11pm on 29 March 2019 (unless the EU agree to extend the deadline) and, if the bill is passed, then an orderly Brexit will begin on the 30 March; if not, however, a ‘no deal’ Brexit will occur on the same day. ‘No deal’ means that there would be no transition period after 29 March 2019, and EU laws would stop applying to the UK immediately. The government has published papers on preparing for a ‘no deal’, and fears it would cause significant disruption to the economy and businesses in the short-term. There may be lengthy tailbacks of lorries at the channel ports, as drivers face new checks on their cargos. Food retailers have warned of shortages of fresh produce and the NHS is stockpiling medicines, in case supplies from EU countries are interrupted. Halting Brexit will require a change in UK law, although this does remain a possibility, particularly following a recent European Court of Justice ruling stating that the UK could unilaterally cancel the Article 50 Brexit process and remain an EU member on its existing terms. 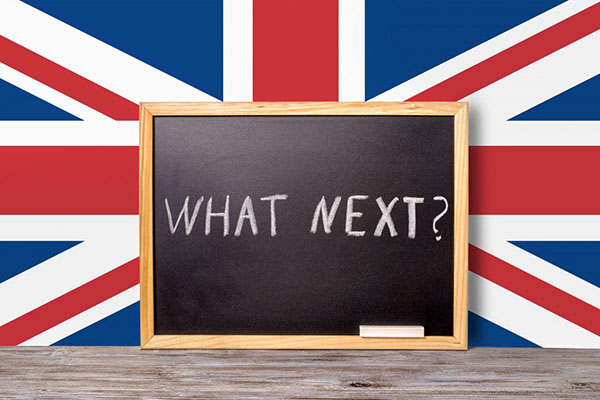 In short, with less than two months to Brexit Day, it remains distinctly unclear what sort of Brexit will ensue or, indeed, whether Brexit will be delivered at all.